The rattling toy caterpillar will twist, roll and click as your baby plays with it during tummy time, crawling or walking stages. 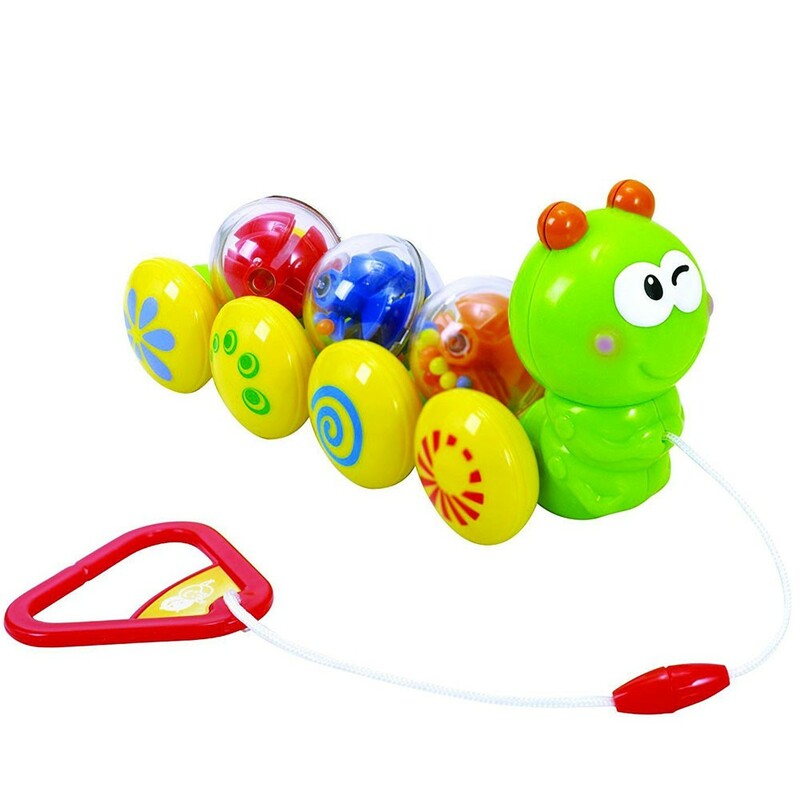 Pull along this adorable caterpillar to watch the bright rattle balls roll as he goes! Wiggly Caterpillar Baby Pull Toy features vivid colors, attractive design and engaging activities to make your baby smile again and again. 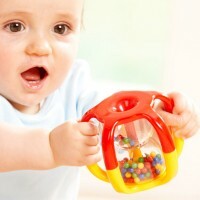 This unique rolling rattle toy comes with 3 removable transparent rattle balls. 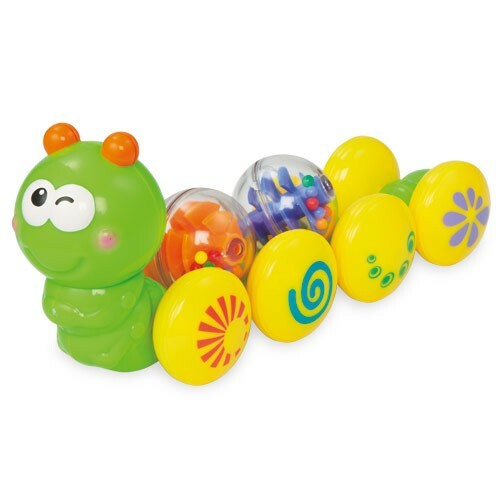 Roll this cute toy caterpillar alone or place the rattling balls on this activity toy to see the fun rolling motion. 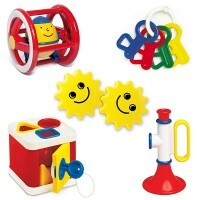 This Educational Toys Planet's baby toy twists, rolls and clicks! 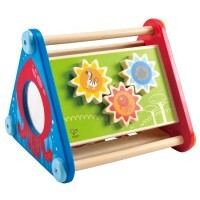 Your baby will love to play with this toy during his tummy time, or when he starts crawling or walking. 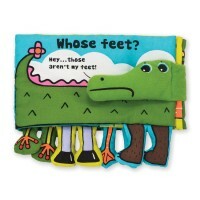 Your baby will love chasing this rattling caterpillar. 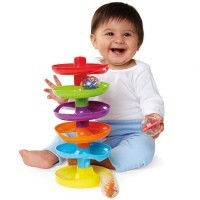 Crawling and laughing is guaranteed with this wonderful baby activity toy! 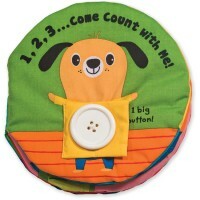 Dimensions of package 5.91" x 3.54" x 10.2"
Write your own review of Wiggly Caterpillar Baby Pull Toy. Rating: 2 Item is not as pictured. 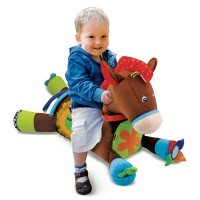 by By A customer The toy is good quality and the balls spin and rattle when it rolls along but it is not a pull toy. There was no string and handle included. Returned it once but received the same thing again with no string. It is going back again for good. 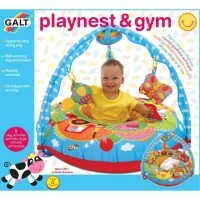 If you just want it for a push toy and the fun little balls it comes with, it is a fun little caterpillar.